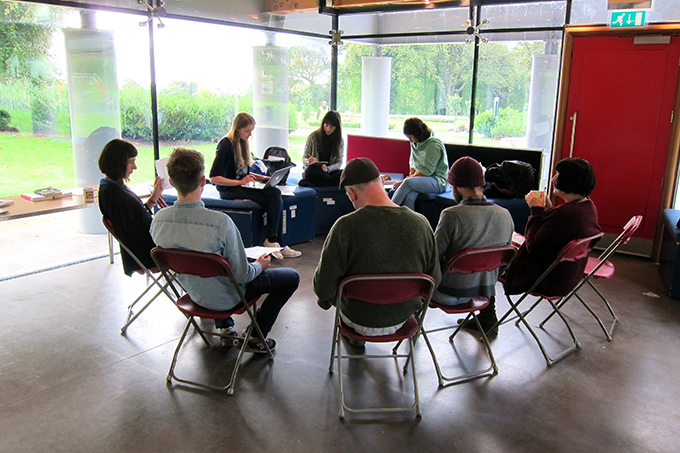 This week, six artists have taken part in May Meet In Mutual Micro Residency in the Park Centre, Baxter Park, Dundee. The artists, who were selected through an open call, have researched and developed new work engaging with the site to further explore the possibilities of site-­responsive practice. On Friday 29 August, Micro Residents will share their responses from the Micro Residency during an Open Stage event. 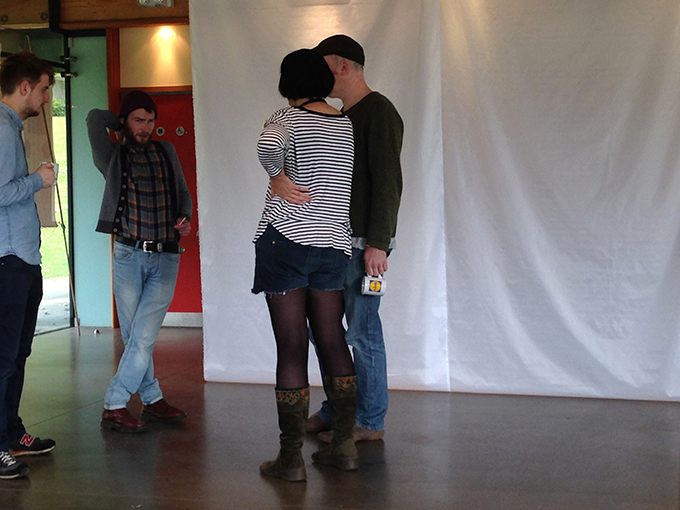 The Open Stage coincides with the preview of an exhibition of work by Sogol Mabadi, Emma Reid, and Craig Thomson. 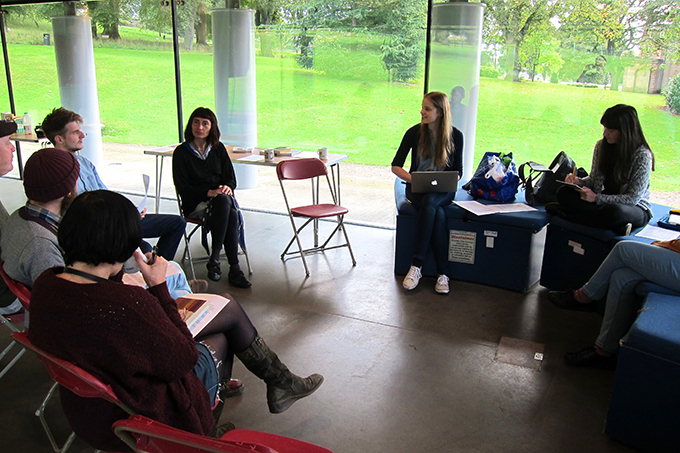 Earlier in the week, this dynamic group of artists, whose practices encompass curation, music, writing, and research, shared with us their initial intentions for the MMIM Micro Residency. Particular sites provide the catalyst for most of the works I make, and the Micro Residency is thus a really interesting proposition, presenting both an opportunity to make new work and to engage in open dialogue and conversation about what site­responsive practice is and what it could be. The words Meet and Mutual from the title of the Micro Residency in the Park Centre, Baxter Park, Dundee inspire me. It is inspirational and stimulating to meet other artists, share ideas and through art mutually/collectively transform the Park Centre. My artworks are mainly site specific. David McLeish: I hope to explore the place, other people’s relationship with it, and the intertwining social narratives, and create something that is accessible to all, inclusive and respectful to the space, its history, local residents and is at the same time perhaps not too po-­faced or serious. I intend to engage conversations around site­-specific artworks and the challenges that this brings, as well as the honesty and beauty that can come from connecting directly with environments around us. Through my practice I use colour, shape, and form to create site­-specific sculptures, installations and performances that challenge traditional notions of beauty and value, examining the sublime within the everyday. This residency particularly caught my attention as I grew up in a Tenement flat on Eden Street, just below Baxter Park, attended Morgan School at the top of the park, and the surrounding streets, houses and Stobie area were my stomping ground. I also see this engagement with environment as a lense to explore memory, social history and the emotional/imaginative landscape of childhood as complex, exciting and potentially problematic, spanning as it does the period from 1969 to 1982 with its rich political and cultural references. 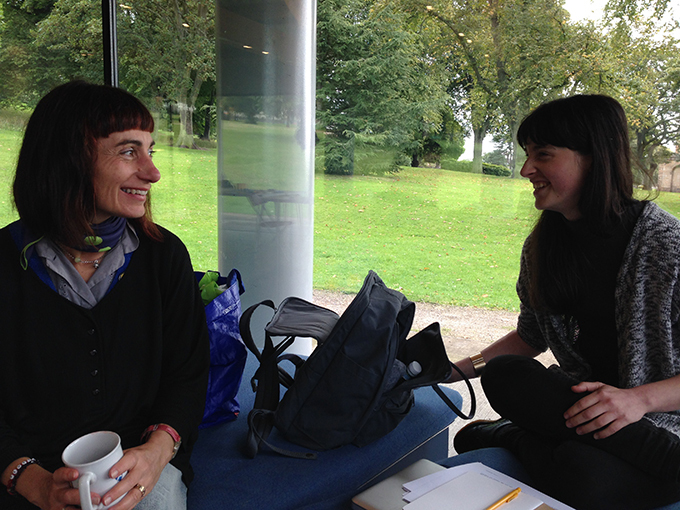 For the MMIM Micro Residency I will collaborate with writer and artist Pauline Meikleham to give shape to her memories and reflections triggered by the environment of the park and contextualise them within a wider social and cultural frame while exploring my response to the setting within the themes of my current research. My research involves mapping the inspirational topography of the urban landscape through a process of storytelling, writing and research ­ which draws on the inherent but often invisible cultural heritage of the city. The MMIM Micro Residency is organised by MMIM (Emma Reid & Katie Reid): A newly established collaboration between twin sisters Emma Reid and Katie Reid, founded upon a sharing and mutual challenging of artistic and curatorial practices particularly engaged with the potentials and problematics of site­-responsive practice. MMIM’s project includes May Meet In Mutual, an exhibition of works by Sogol Mabadi, Emma Reid and Craig Thomson. See our featured event for more information on May Meet In Mutual. For further information on the public programme see the May Meet in Mutual website here.